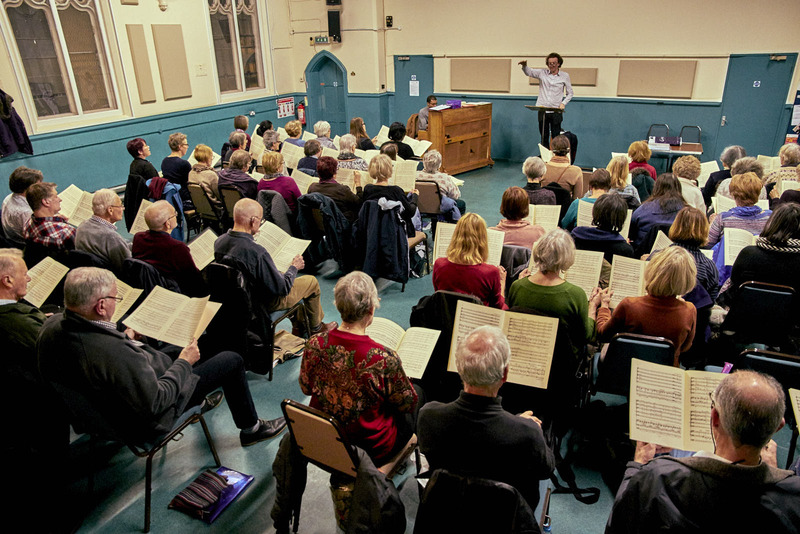 We are a friendly, sociable group of people who enjoy singing and making music together. We welcome new members in all voices and do not audition new members. All are welcome, subject to approval of the Society's Committee. Previous experience of singing and sight reading is useful but we have all levels of ability in the choir, from novices to music graduates. If coming for the first time, make yourself known to any member, who will then introduce you to the voice rep for your voice part. He or she will find you a score, a seat and show you the ropes. The Membership secretary will provide membership forms and details. Although not essential, it's best to join on the first day of term in order not to miss any rehearsals. The librarian always has a few extra copies of scores for hire. Please see Rehearsals for details of typical rehearsal formats.